NetBeans 8.2 IDE is not compatible with JDK 9. 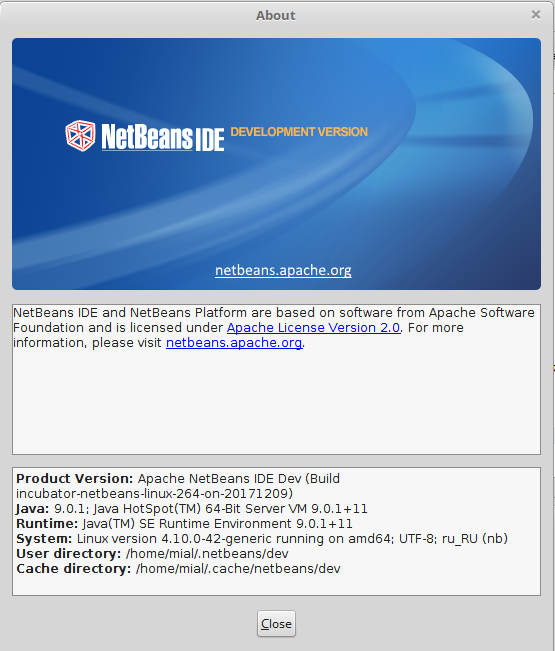 The version of NetBeans 8.2 is not designed to work with JDK 9 and does not support development on the ninth version of Java. 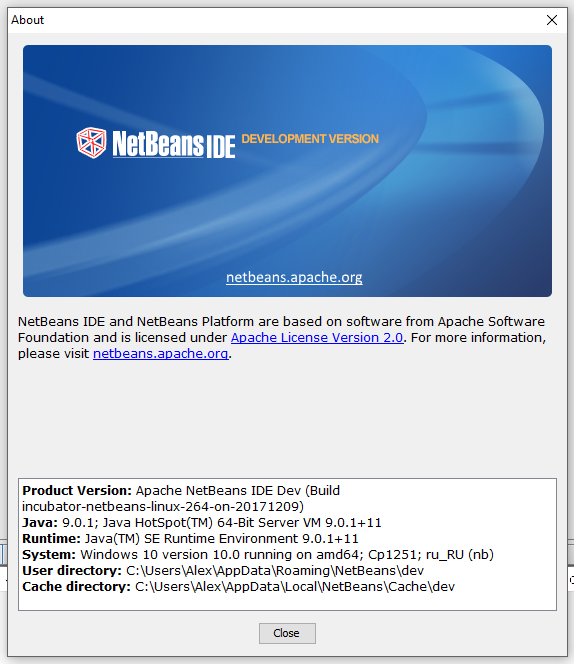 To successfully use JDK 9, you need to download the NetBeans 9.0 development build from Apache Incubator. Although the https://builds.apache.org/job/incubator-netbeans-linux/ page says that there is a version for Linux and contains a link to the version for Windows, you need to download the archive from this page, i.e. you need to download a version for Linux even if you are going to run NetBeans 9 in Windows. The download archive is called something like "NetBeans-dev-incubator-netbeans-linux-264-on-20171209-basic.zip". Go to https://builds.apache.org/job/incubator-netbeans-linux/ and download the archive, which is called something like this: "NetBeans-dev-incubator-netbeans-linux-264-on-20171209-basic.zip". Go to the netbeans/bin/ folder, where you will see the netbeans file. To launch NetBeans, click on it twice. Select Start in Terminal or Start. 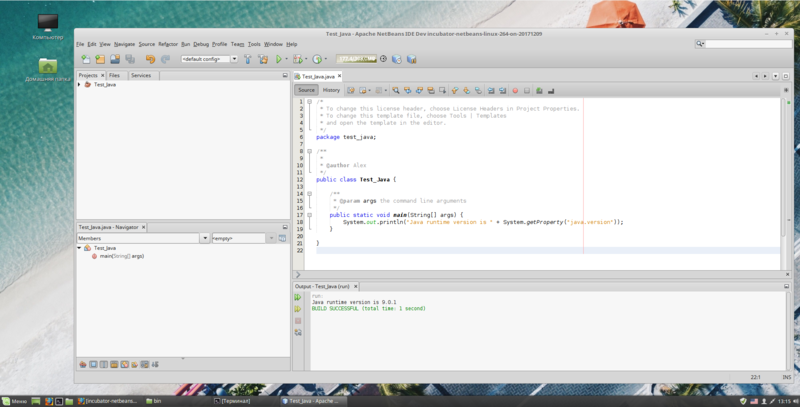 At present, NetBeans 9 is in the active development stage. 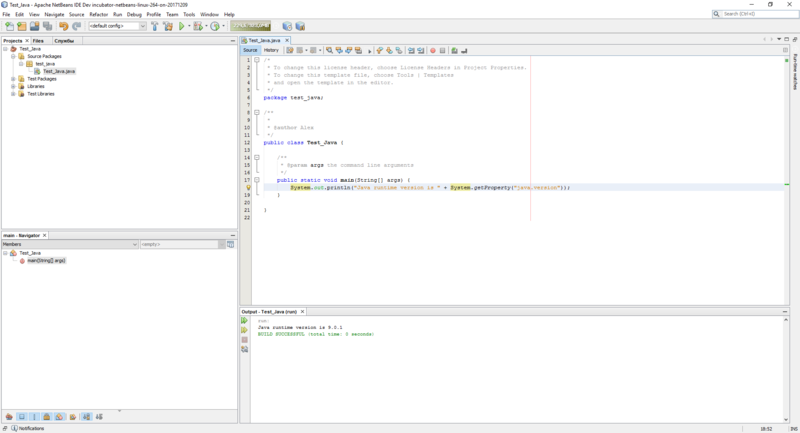 NetBeans 9 can work with both JDK 9 and JDK 8. Thank you very much. BTW: Nobody and nowhere is pointing out that NetBeans 9 + JDK 9 resolves High DPI scaling issues on WIndows 10. So glad I found this article.